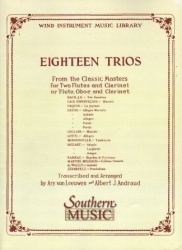 For flute, oboe (or flute) and clarinet. Score only. Complete score and parts available separately (B178).